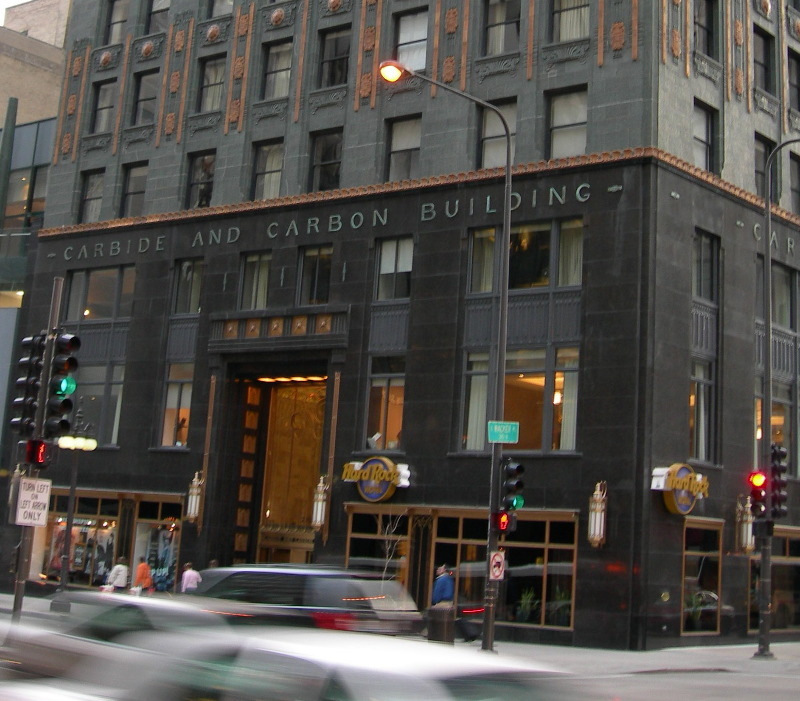 Hard Rock cafe in Chicago is in the Carbide and Carbon Building, maybe a more appropriate name would be the “Rock Hard Cafe”? Carbides are fairly hard materials, and carbon, in the form of diamond is the hardest. Hard Rock Cafe, Carbide and Carbon Building, Chicago.